Tagline: Something has come between the twins! 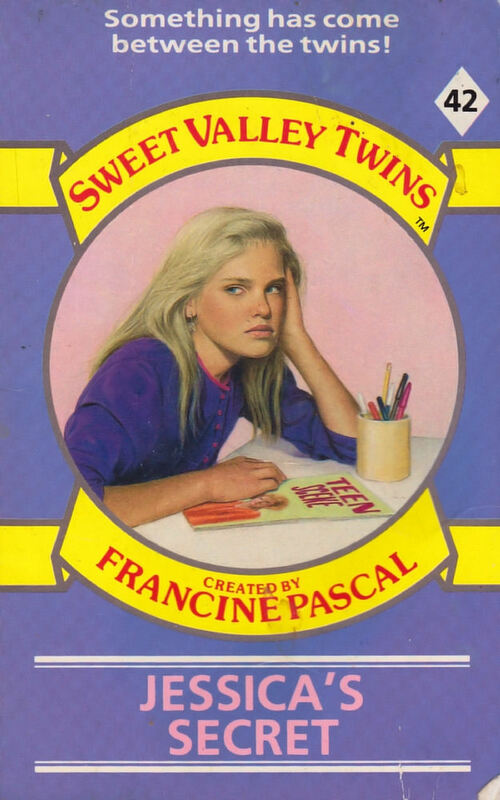 Summary: Jessica Wakefield has always prided herself on being the more sophisticated twin, but suddenly it’s her sister, Elizabeth, who is blossoming. Overnight, something wonderful has happened to turn Elizabeth into a young woman. And now Jessica’s sure that if anyone—especially her sister—finds out that it hasn’t happened to her, she’ll die of humiliation. Then the twins get permission to travel to San Diego by themselves to visit their cousin Robin. It’s the perfect opportunity for Jessica to prove just how grown-up she really is. But will acting older than her age get Jessica into more trouble than she can handle? This, for me, is where the series kicks into gear. The fact that Team Grapplegate are at the helm and have probably just shrugged off the editors’ rulings? Not a coincidence. There are so many fun books coming our way, and I’m so glad we’re finally getting to that point.